Lice Treatment Center® Medical Director, Dr. Elin Cohen expresses concern about over use of pyrethroids and an antibiotic to treat head lice. Don't use bactrim to treat head lice. In response to the Today Show's Health and Wellness segment on February 25, 2016 as well as numerous queries from patients, schools and camps, Dr. Elin Cohen, prominent Connecticut pediatrician and medical director of LTC, expressed great concern about an over-reaction to the recent storm of publicity about “super lice”--especially the flood of recommendations for home remedies, high doses of pyrethroids and antibiotics such as bactrim that are supposedly effective in curing lice. Dr. Cohen also designed LTC® treatment protocol, which is a systematic approach to eliminating head lice. 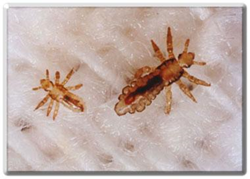 The LTC® system includes first using its lice treatment products to eliminate live lice and nymphs. The next, and most important step, is a systematic “comb-out” using a professional lice comb to remove every nit or egg glued to hair shafts. “This approach”, says Cohen, “will almost always catch every nit and louse. But, because newly laid eggs are microscopic and can occasionally be missed in even the most meticulous comb-out, it is essential to continue an aftercare protocol for 7 to 10 days to ensure total elimination of every nit. Dr Cohen said to check the house and environment. Bedding and washable items that have been in contact with the affected person within two days prior to treatment should be dried in a high temperature cycle. Anything that isn’t washable can be sealed in a plastic bag for three days, which is more than enough time to isolate those items. Upholstery, floors, and carpets should be vacuumed. Dr. Cohen suggests not using toxic sprays in living spaces but “With a bit of patience and a calm approach, an all-natural system will work”. For more information visit: http://www.licetreatmentcenter.com.